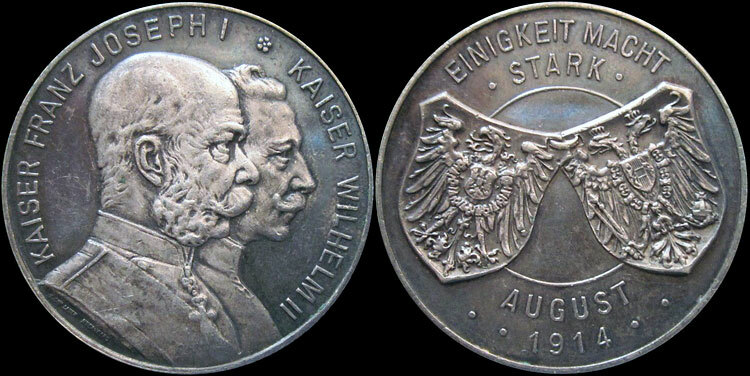 Obverse: Wilhelm and Franz Joseph conjoined busts, right. Reverse: German and Austrian shields, joined. A beautiful proof-like struck piece with an overall bluish toning to the mirrored fields on both sides.